New colleagues are waiting, new concepts abound and innovations are within reach — discover them in Chicago. 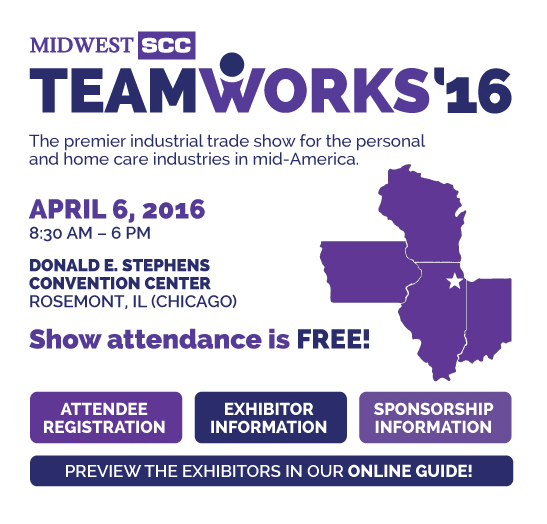 The Midwest Chapter Society of Cosmetic Chemists (SCC) will host TEAMWORKS 2016, the premier exhibition for formulators among the specialty chemical allied trades, on April 6, 2016, at the Donald E. Stephens Convention Center in Rosemont, Illinois—conveniently located near O'Hare International Airport. 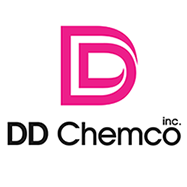 Chemists, chemical buyers, engineers and technologists in the cosmetic, personal care, home care, pharmaceutical and other allied industries will mingle among 100+ booths representing prime technology suppliers in the industry. TEAMWORKS 2016 is an opportunity to gather for an exciting learning experience, and to foster friendships in a bond of cooperation and success. Education, Innovation & Networking are key focal points during this event. 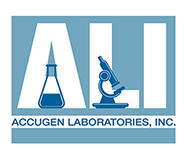 The 2016 Technical Symposium is a half-day educational session that will highlight the latest product launches to give formulations an added edge, and technology exchanges will occur throughout the exhibition. Teamworks 2016 is pleased to announce sponsorship opportunities. Donate today online by visiting the Teamworks Sponsorship Page.